Nick concentrates his practice in Corporate & Securities, Financial Institutions and Fashion, Luxury & Retail Groups with experience in counseling both public and private companies with respect to securities transactions, mergers and acquisitions, corporate governance, and a variety of other corporate and transactional matters. Prior to joining Barack Ferrazzano, Nick was an associate at a national law firm based in Minneapolis. 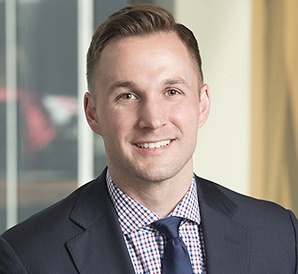 Before practicing law, Nick held the position of Negotiations Leader with Target Corporation where he negotiated pricing for more than $1 billion dollars of inventory across multiple product categories, earning the Vice President Award for excellence in negotiation and partnership strategy. His business and negotiating skills are a valuable asset to his clients.